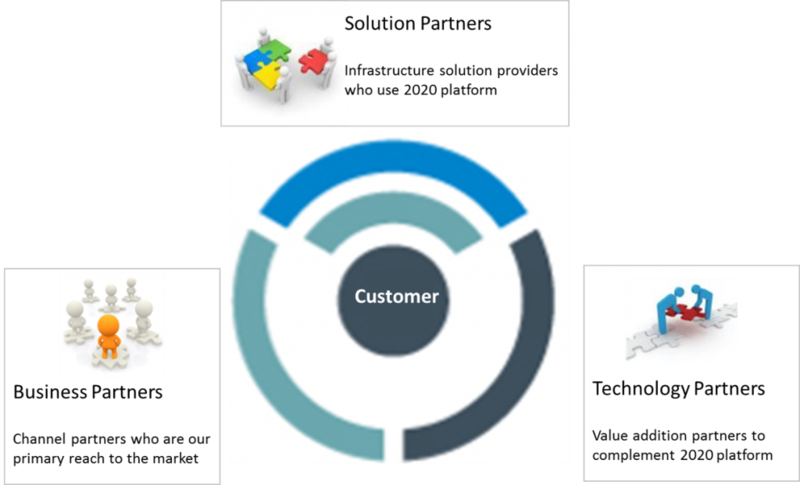 Customers are moving away from multi-product piecemeal model to a unified integration model that will not only give them a single inter-operative system to fulfill their needs but also free them from the nuances of working with multiple systems and vendors. 2020 realizes this market shift and we want to work with an ecosystem that addresses this shift, for there is room for everyone to create a difference. 2020 Technology: We use a Windows server-client architecture. We are on the latest .NET framework and we use SQL databases. Our platform is built on a Service Oriented Architecture (SOA) with duplex WPF/WCF (Windows Presentation Foundation / Windows Communications Foundation) connectivity. We have fully embraced the openness of OPC technology. Modbus, BACnet or LonWorks, SAP, Oracle or Microsoft Active directory, we can integrate with them. To protect your data, we have three layers of security – at the application, communication and database layers. All of these have enabled us to build a high-fidelity user experience that not only is modular, scalable, secure, open and interoperable but also enables decentralized deployment of enterprise-wide solutions. Business Partners: Business Partners are our primary go to market channel. As a standalone solution or as part of your integrated solution, 2020 will help you provide increased value to your customers. Solution Partners: As infrastructure solution providers, you provide value-added solutions to your customers. As a video platform, as an integration platform, or as an operational platform, 2020 will give you something that will delight your customers. Technology Partners: As a sophisticated technology player ourselves, we have a strong sense of appreciation to technology. If you think 2020 has a product that can disrupt the market along with yours, let us work together to create value in the marketplace.